We use Australia Post for our shipping as they cover our entire country, even the remote rural areas where many couriers will not deliver. 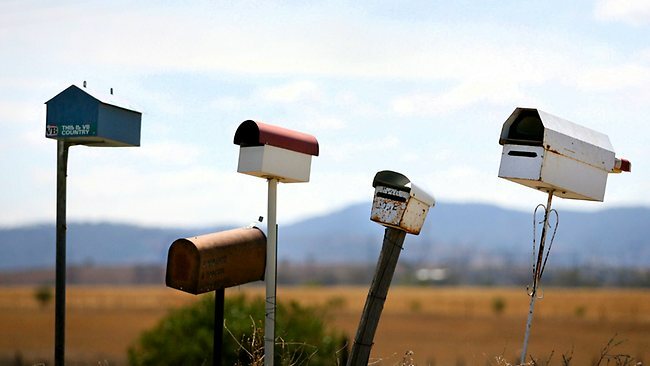 Because many of our customers do have isolated mail boxes we use Australia Post "no safe drop" system for our deliveries. No safe drop means that if they are unable to deliver your parcel safely they are to use the card system to let you know your parcel is at your nearest post office, awaing collection. Boots are expensive and we would not like to find that they have been taken from your isolated main box before you could collect them. We have found Australia Post to be very efficient and reliable and in most cases customers will receive their goods within a few days sometimes even the next day. Most of our items are sent express post so you will receive them very quickly. For very large bulk orders regular post may be used unless the customer chooses otherwise. If you find that you have not received your articles we can track them for you through the Australia post network. If you are purchasing from another country and need to know what the shipping fee will be, just call us on 02 4457 3022 during business hours and we will assist you. International Customers: Please Note International customers are responsible for all duties, custom fee's and taxes that may be due upon delivery of the shipment to its destination. For warranty returns click here to see our warranty return policy before returning the goods.